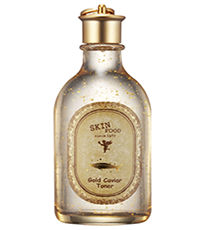 A gratifying toner formulated with visible pure gold, softens the skin, and with Russian caviar, counters wrinkles and fortifies, nourishes, and firms up the skin. This entry was posted in 1 and tagged Fr3b, Fr3b Singapore’s 1st Sampling Concept Store, Fr3b.com, free beauty samples, Free giveaways, free samples, freebies, GOLD CAVIAR TONER, S’pores 1st Sampling Concept Store, singapore free beauty samples, singapore’s 1st online sampling platform. Bookmark the permalink.